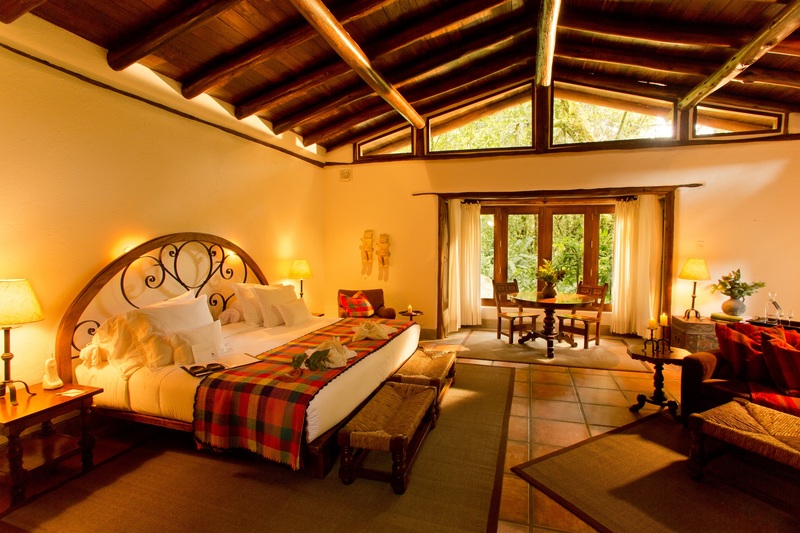 INKATERRA MACHU PICCHU PUEBLO HOTEL occupies a private five-hectare (12.3-acre) of tropical gardens in the cloud forest of the Machu Picchu Historical Reserve, one of the New 7 Wonders of the World. This welcoming retreat offers guests an authentic travel experience, in an atmosphere of refinement and thoughtful hospitality. The spectacular grounds are laced with paths that wind past waterfalls and gardens; trails wander through wild forest. This is a place to relax, while exploring nature and encountering the wonders of the Inca civilization, feeling an authentic travel in an atmosphere of refinement, caring, and warm hospitality. As part as the excursions provided, visit the native orchid garden in their natural habitat – 372 species, a world record according to the American Orchid Society, the organic Tea Plantation which provides daily the hotel with their organic products, and get to know more about our Andean Spectacled Bear Rescue project. *Blackout dates may apply. ^Spa Treatments - Valid for bookings made upon arrival. Wifi Policy: Provides Wi-Fi complimentary to all guests Please contact a Platinum consultant for more information. Please contact Platinum to book in this property and obtain these exclusive benefits. ^No cash value if not redeemed in full.